Schmidt Relations is a boutique public relations company based just outside of Nashville, Tenn. It was established in 1997 by Jessie Schmidt who has worked the careers of some of country music’s finest including Trace Adkins, Rhett Akins, Joe Diffie, DreamWorks Records, Rascal Flatts, Montgomery Gentry, Reba McEntire, Tim McGraw, Brad Paisley, Blake Shelton, Aaron Tippin, Carrie Underwood, Lee Ann Womack and more, as well as current clients Luke Bryan, Easton Corbin, The Grand Ole Opry, Eric Paslay, Cole Swindell and Chris Tomlin. CEO/Owner Jessie Schmidt and VP of Publicity Dixie Owen have over 40 years of publicity and marketing experience combined and have enjoyed many long term client relationships, some expanding 10-15 years. Please contact Jessie Schmidt / Jessie@schmidtpr.com for additional information. Jessie Schmidt has 25 years of experience as an entertainment publicist. She began her public relations career at Startsruck Entertainment where she worked as Senior Publicist and handled artists such as Trace Adkins, Rhett Akins, Billy Dean, Joe Diffie, Linda Davis, Reba McEntire, Aaron Tippin, and more. In 1997, she established her boutique public relations firm, Schmidt Relations, and in its 20-year history has worked alongside many country music performers to help build their careers. With multiple artists, she has teamed with the performer for an unprecedented period of time- many, ten plus years. Schmidt Relations clients have included DreamWorks Records, Rascal Flatts (14 years), Montgomery Gentry, Tim McGraw (14 years), Brad Paisley (10 years), Blake Shelton, Carrie Underwood (12 years), Lee Ann Womack and more. Schmidt Relations current client list includes Luke Bryan (9 years), Easton Corbin (9 years) Chris Tomlin, Grand Ole Opry (19 years), Cole Swindell and Eric Paslay. She is a member of the Academy of Country Music and Country Music Association. Jessie has also served on the CMA Board of Directors and the CMA Foundation Board. Dixie Owen has nearly 20 years of experience in public relations, media marketing, events and strategic planning. She has served as Senior Director of Artist & Media Relations at Universal Music Group Nashville where she developed and executed media campaigns for artists including George Strait, Josh Turner, Lauren Alaina, Gary Allan, Sugarland, David Nail among others. Before joining UMG, she spent eight years at Capitol Records Nashville where she created and implemented the media campaigns that launched the careers of Dierks Bentley, Lady Antebellum, and Luke Bryan as well as working media campaigns for Little Big Town, Keith Urban and the legendary Kenny Rogers among others. Owen’s career also included three years as senior publicist at CMT: Country Music Television working on the successful media launch of CMT Video Music Awards and CMT Crossroads among many other shows and specials. She also spent four years at the Country Music Association (CMA) where she created and implemented media campaigns for the nationally-televised CMA Awards and the world’s largest country music festival, CMA Music Fest. 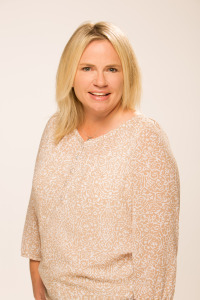 Owen began her career working at Network Ink Public Relations – the ﬁrst and, for many years, the largest independent public relations company in the Nashville music industry. The long-time publicist has planned, produced, implemented and worked numerous media/marketing events including press conferences, photo shoots, media days, video shoots, red carpets (Grammy, CMA, ACM, CMT) in her experienced career. Owen is a member of the CMA, ACM and a member of Leadership Music (Class of 2009). She graduated with a double degree in Marketing and Management from Texas A&M University. Owen and her husband Glenn have two boys Collier and Campbell.